Tag Archives: Are you a smart shopper? Are you a smart shopper? 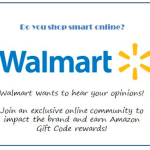 Walmart is looking for YOU!